Wear chanclas (flip-flops). You will come back with black feet, or maybe even directly tread on some horse poo. Go if you don’t know anyone who has a caseta (marquee-type-thing). All the decent ones are private! Spend too much time in la calle del infierno. It’s called the hell street for a reason. Be deceived by the small size of the rebujito glass. You might be used to pints, but I can assure you no tiene nada que ver – it’s stronger than beer! Buy a toffee apple. Just don’t do it. It’s stickier than you think! After that first bite your teeth will never be the same again. Expect to bop up and down to Lady Gaga. You’ll be lucky to get a flamenco version of the Macarena! 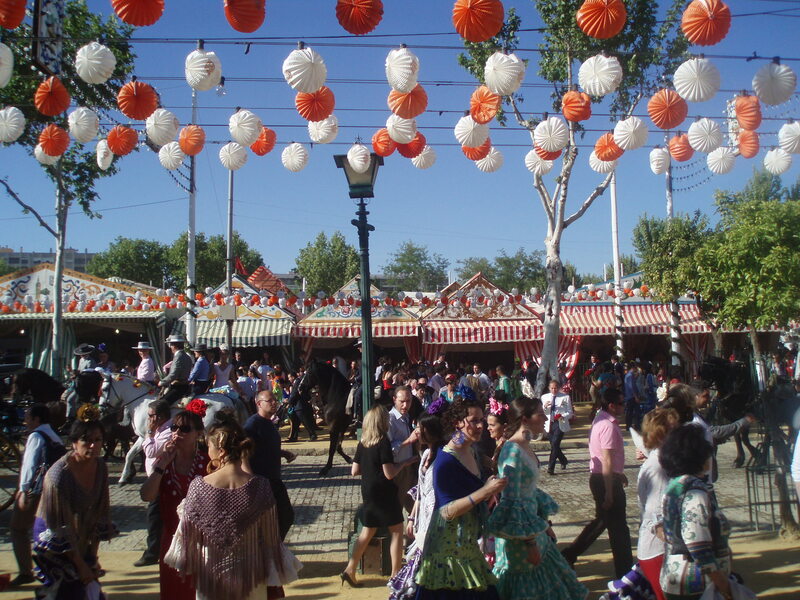 This is the Feria, miarma! ¡Olé! Wear a suit if you’re a man and a traje de flamenco if you’re a woman. That way you won’t stand out so much… or you will be the “guiri gracioso/a” of the group. Mira al de al lado (copy the person next to you) if you haven’t learn the moves but you really, really want to join in! Eat Jamón and Tortilla, and drink rebujito! ¡Claro que sí! 1) Have lunch at 3pm and not be ‘active’ again until 5pm. Lunch is to be enjoyed and savored in Spain. The afternoon starts later, while the sacred ‘hora de comer’ is for eating, talking and when necessary, siesta’ing. 2) Give two besos (kisses) on the cheek to strangers. In the UK it’s the good old handshake, a smile-nod-hello, or at most, a kiss on one cheek. 3) Hear the word primo (cousin) used a lot. Even if you don’t know them very well. 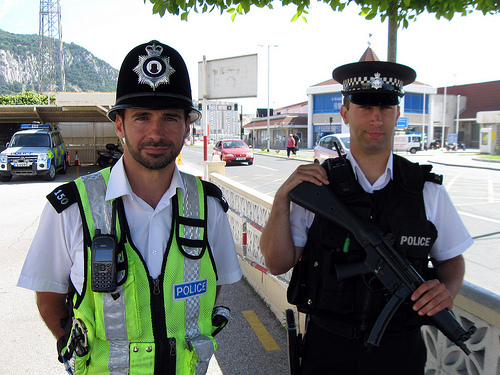 In the UK that’s being impolite – in Spain it’s being direct and it’s totally normal. 5) Have dinner out at 10.30pm or later. Most UK kitchen staff are on their way to their after-work drink by that time. 6) See toddlers out at midnight. In some parts of Spain it gets so unbearably hot in the summer, that toddlers must sleep the siesta and be kept inside until late. 7) Call your boyfriend’s/girlfriend’s parents the suegros (in-laws). Yesterday we held a despedida for one of our friends. He’s off to work in Toulouse. In a group of around fifteen friends he is the fourth to leave (the others are in France and Germany). The rest are looking abroad. They cannot find work here in Spain. Or at least, not in Andalucía. Once the others started looking en el extranjero, the interviews came flooding in. What should Spain do about the fleeing of its young talent? Well, try to benefit from it in the long term. 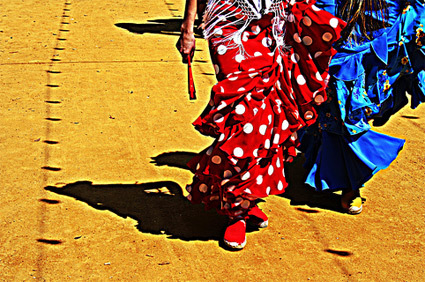 Traditionally, many people in Andalucía have not needed or had the chance to travel. This is now changing, and the youths of today are being “forced” to grab opportunities that their parents never even dreamed of. Yet, only a small percentage of those who leave will stay away. 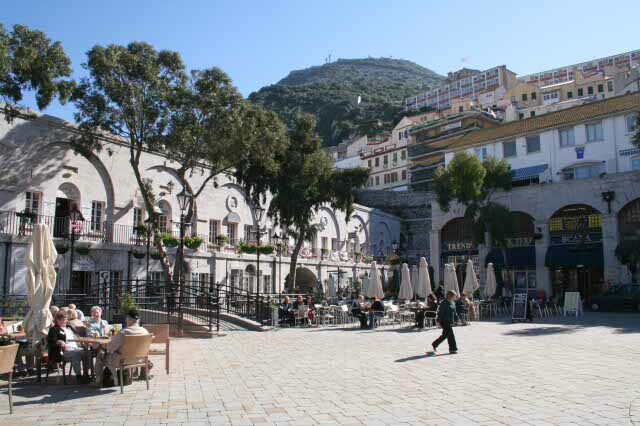 The quality of life – sun, good food and a strong vida familiar – attract the Spanish to return. If and when they do, they’ll bring their experience, skills and new perspectives to the Spanish job market… and to the next generation. An interesting suggestion is made by the magazine Emprendedores. In Ireland, incentives are being offered to those who attract investment to Ireland from abroad. What if Spain did the same? I hope my friends will be back at some point. I also believe that many of those ‘cerebros en fuga’ can and will contribute to Spain’s recovery in the long term. 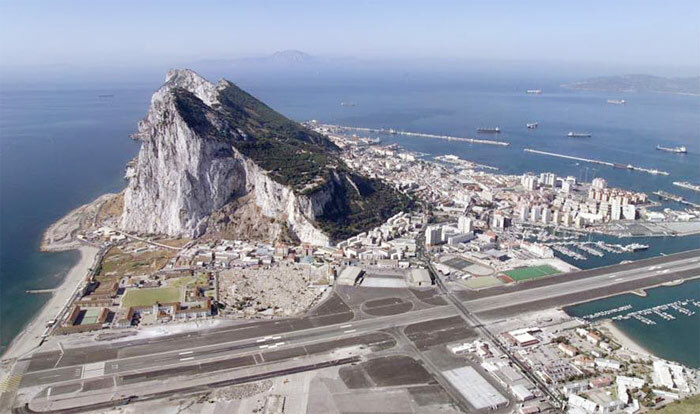 This is England… Gibraltar, mate! We queued for an hour to get in, and a human-sized monkey greeted us at the entrance. It felt strangely Disney. Once inside, our phones welcomed us to the Reino Unido, and there he was – an English Bobby Policeman. We found ourselves in a plaza that smelt of England; a mixture of fish and chips, beer and pub food. 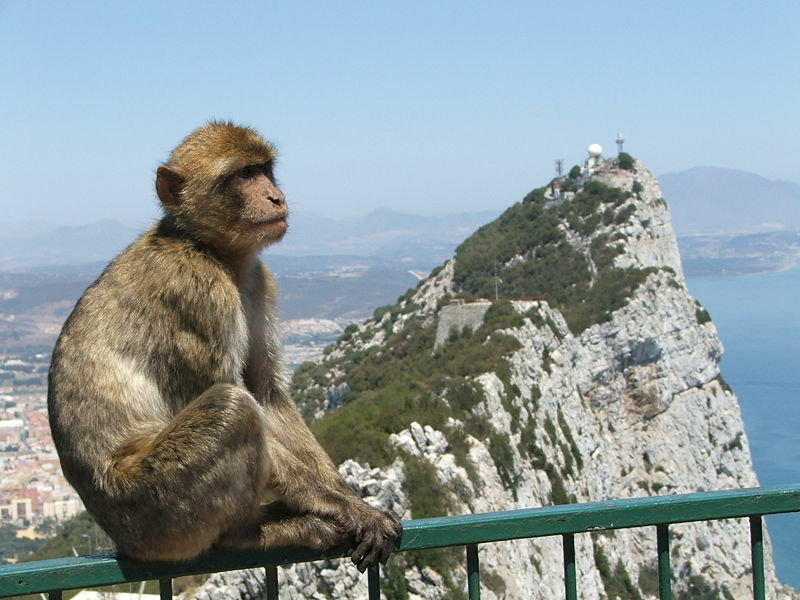 And if you get bored, you can go and see monkeys that steal. 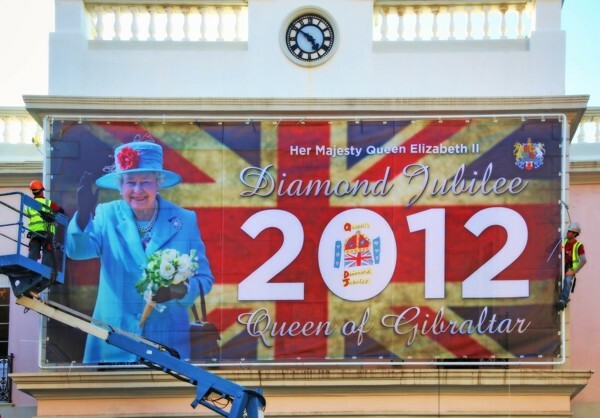 …The place may be raro, but then the English (we) are very raros at times… No doubt about it – we were clearly in England. The crowds thicken until you can no longer move. You hear drums, trumpets, processions; everything is a blur. Suddenly, a large, moving, gold object emerges from nowhere; it holds a statue of Jesus carrying the cross. People gaze up in awe and begin to cry; they have been waiting for this…. 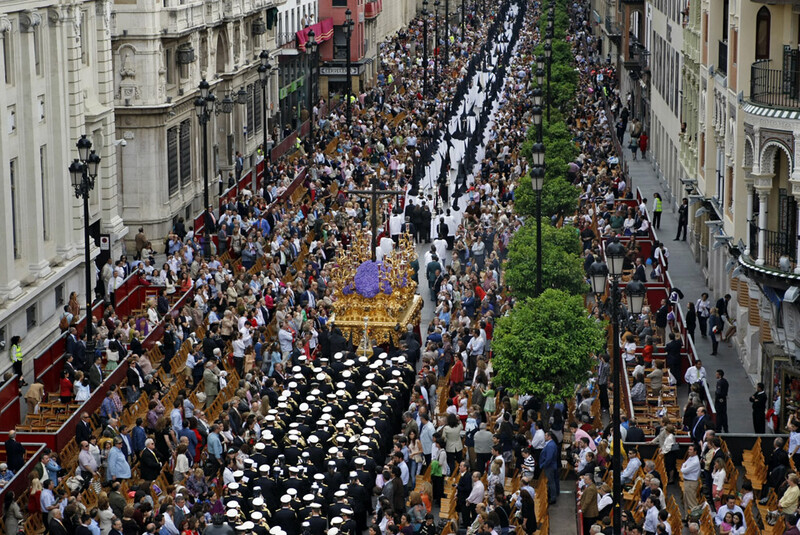 To an outsider, Semana Santa can seem absurd. The mixture of the ‘party’ atmosphere with the overt devotion to moving gold statues is… uncomfortable. Yet, I respect the tradition, I do. Like other customs, it marks identity and unites families. It also brings routine and normality to a year. 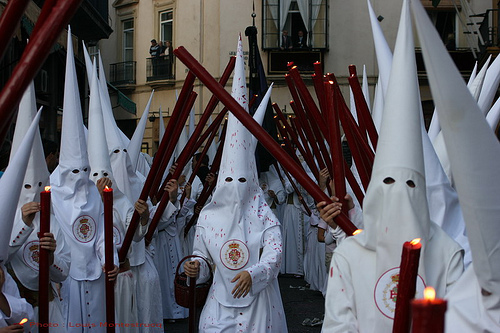 The sevillanos rehearse for Semana Santa and look forward to it, long in advance. You have to see it to really believe it. 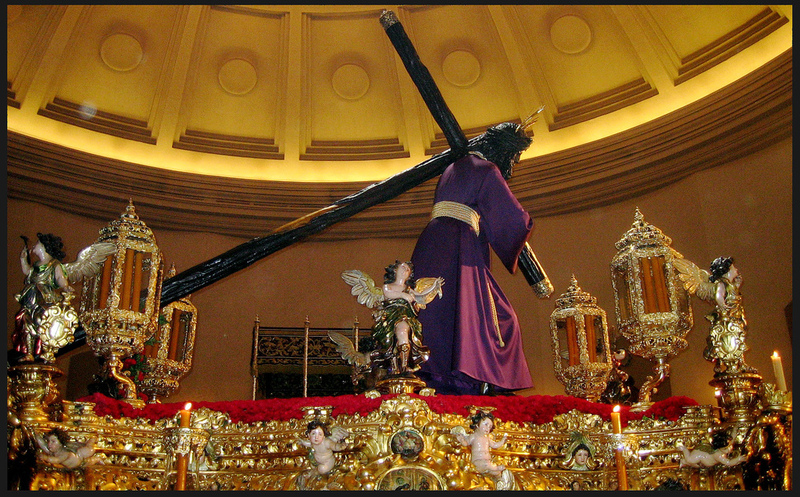 But no, I wouldn’t recommend visiting Sevilla in Semana Santa. Not unless you are open-minded, empathetic and…a real fan of huge crowds!